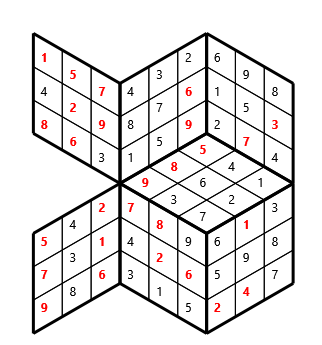 Here the shapes are pushed over to become diamonds. 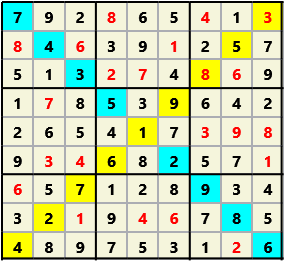 This wraps side to side but not top to bottom. 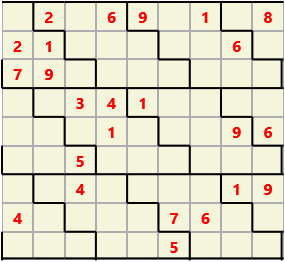 This is the standard geometry that is usually seen. 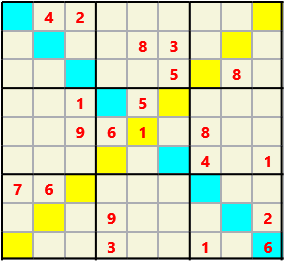 Characters must not repeat in rows or columns or in any of the 3 by 3 boxes that are outlined. 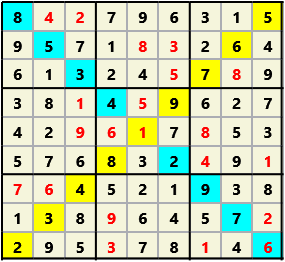 The normal 3X3 boxes are replaced by horizontal stripes (helices) which wrap around the problem. These stripes join the left side to the right side and the top to the bottom so that the overall geometry is a doughnut (torus). Use of the “diabolical” character set makes this problem even harder. 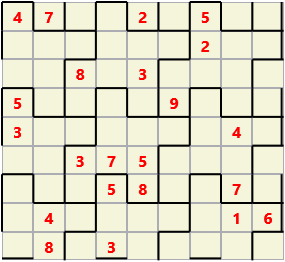 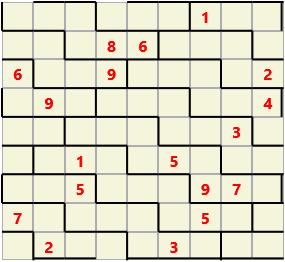 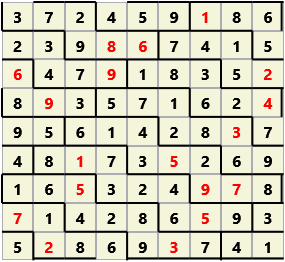 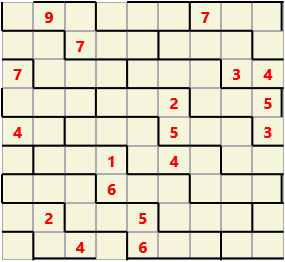 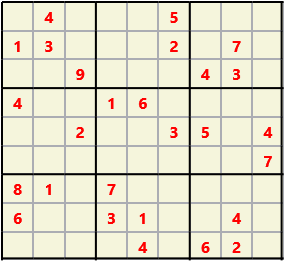 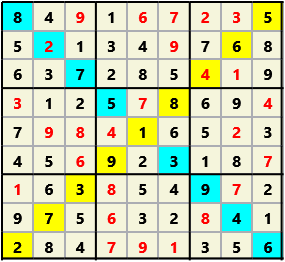 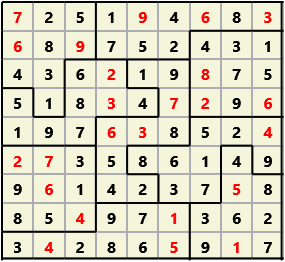 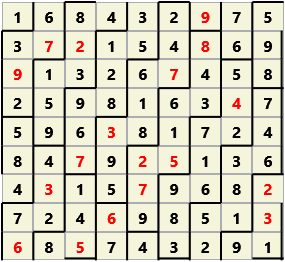 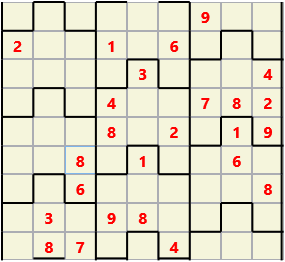 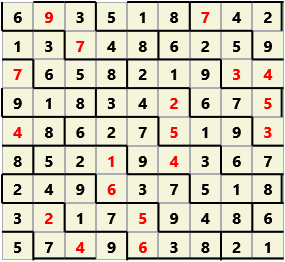 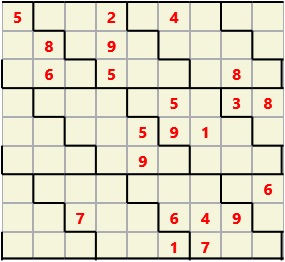 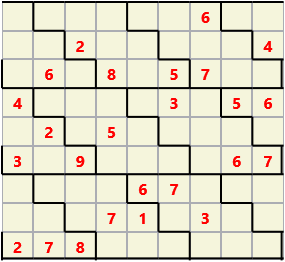 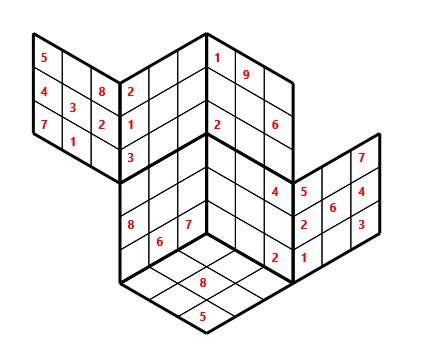 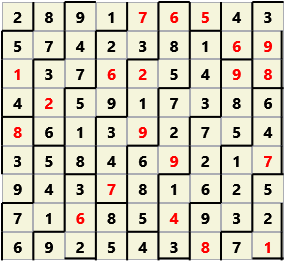 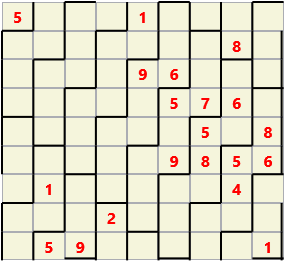 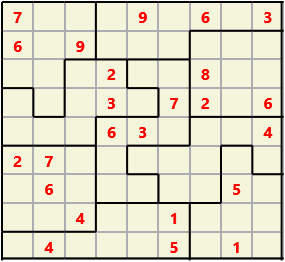 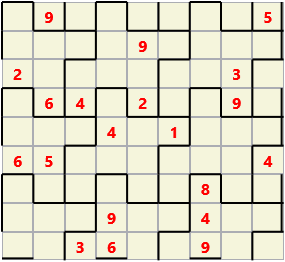 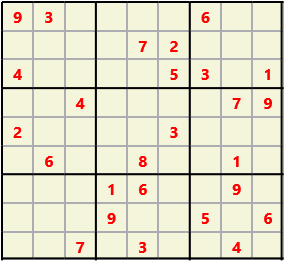 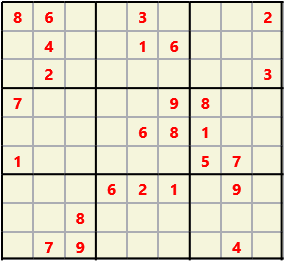 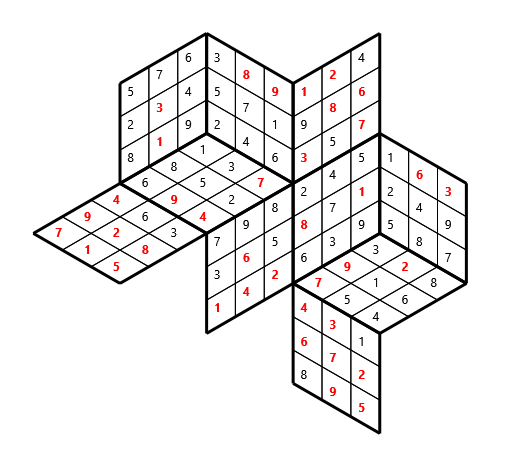 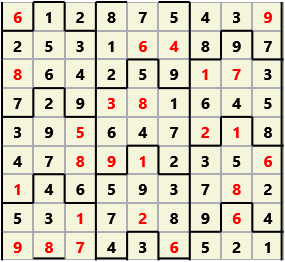 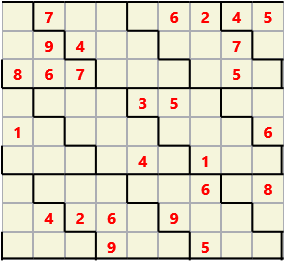 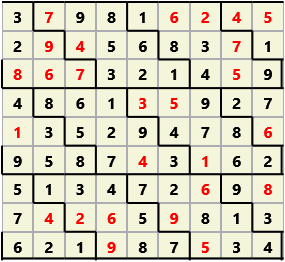 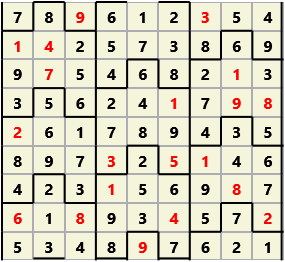 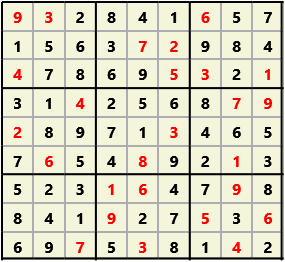 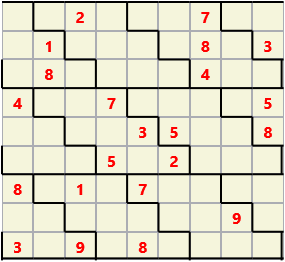 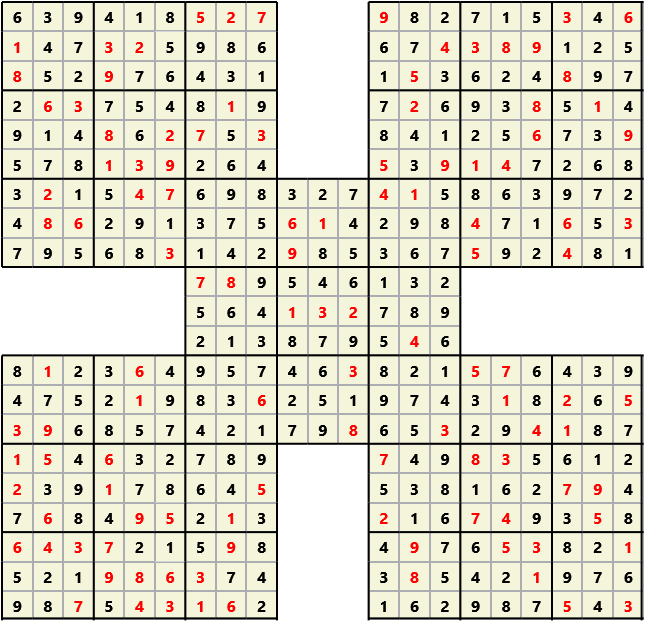 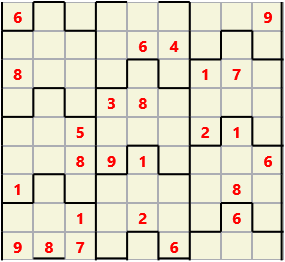 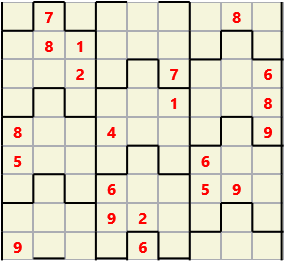 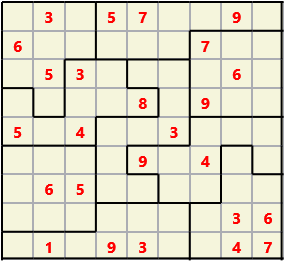 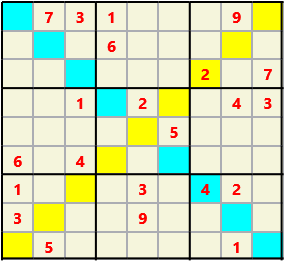 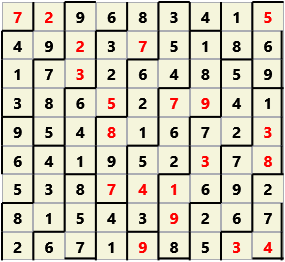 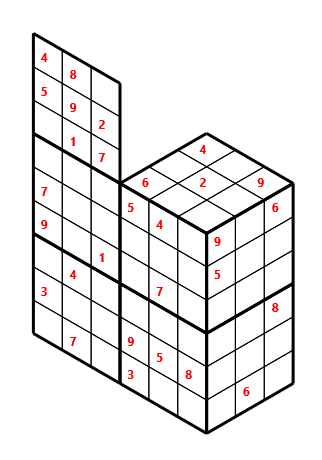 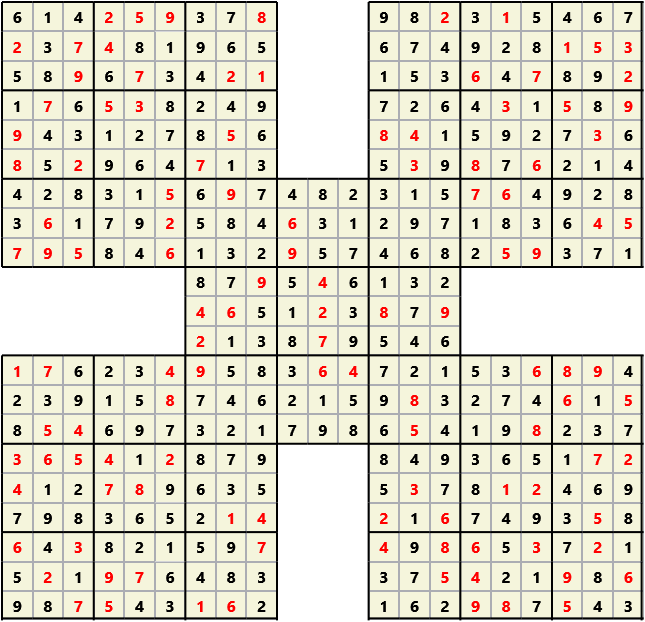 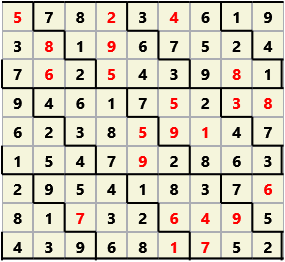 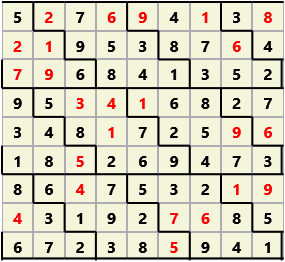 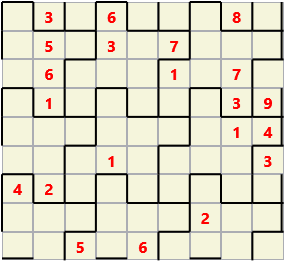 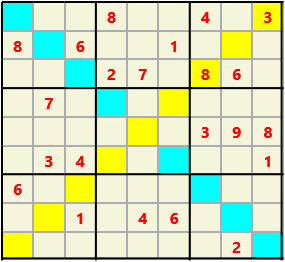 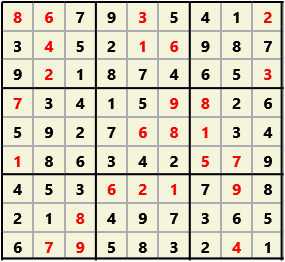 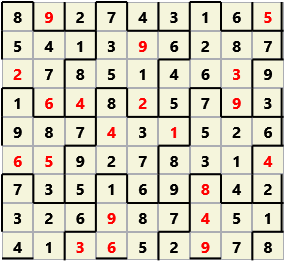 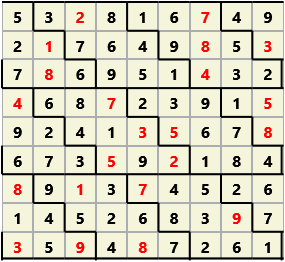 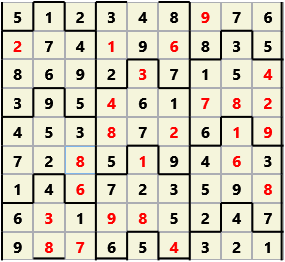 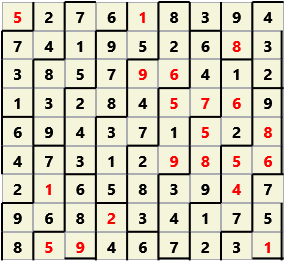 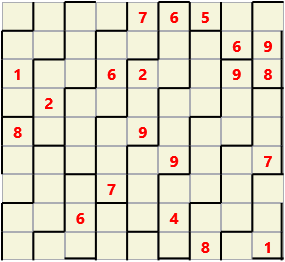 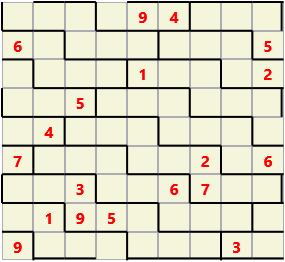 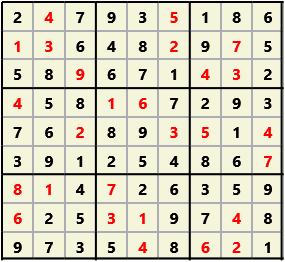 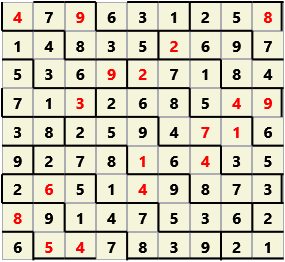 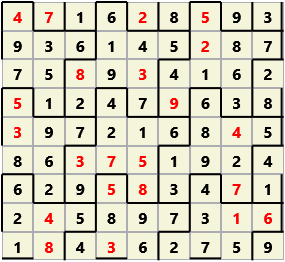 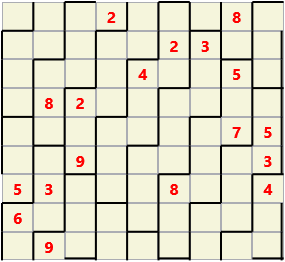 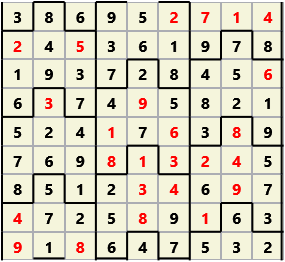 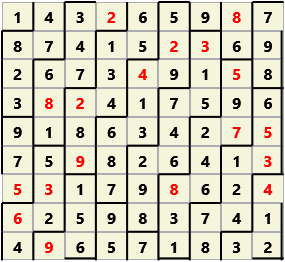 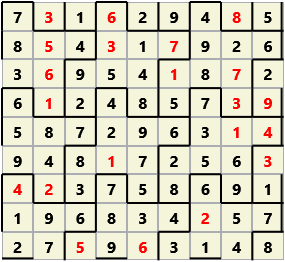 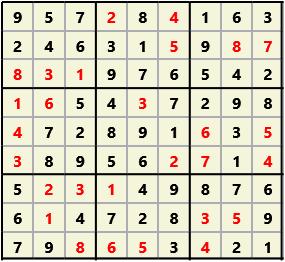 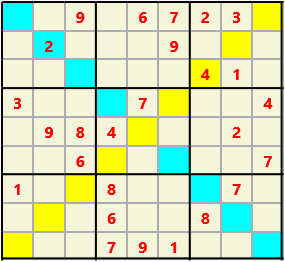 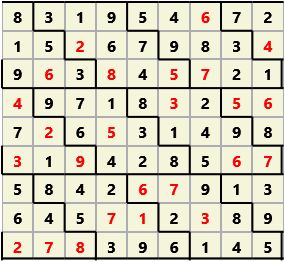 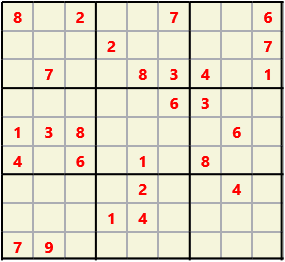 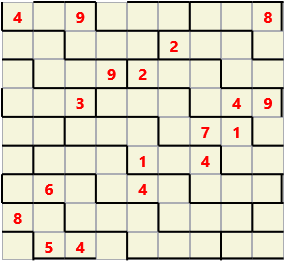 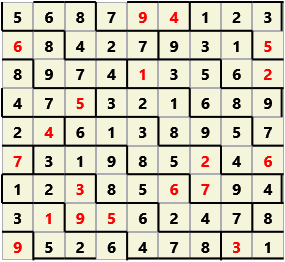 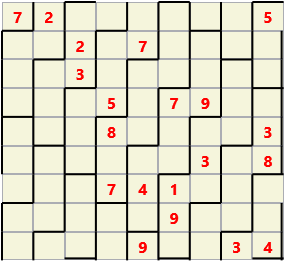 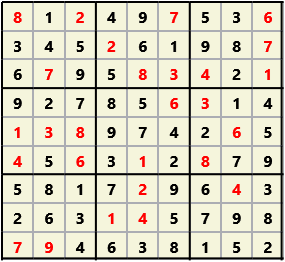 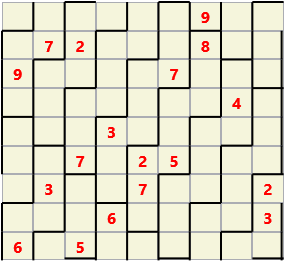 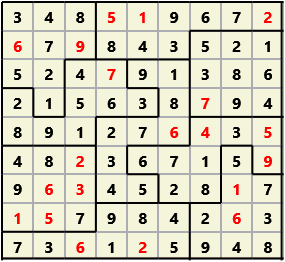 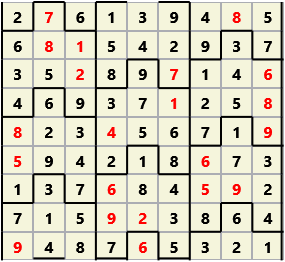 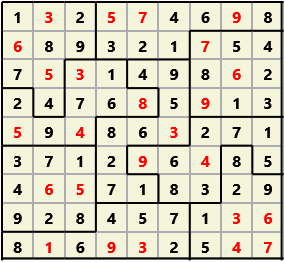 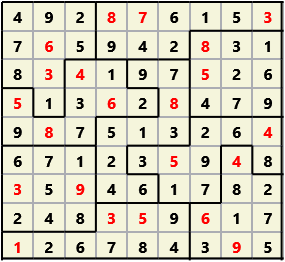 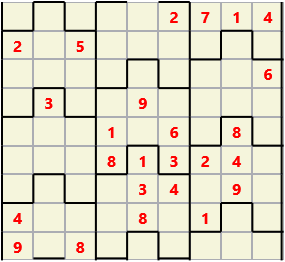 Similar to the regular 9 by 9 Sudoku but the squares have lumps in the top and bottom. 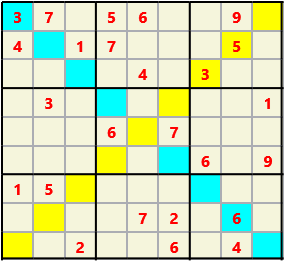 The problem wraps top to bottom but not side to side so the overall geometry is a cylinder. 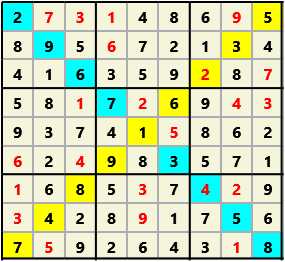 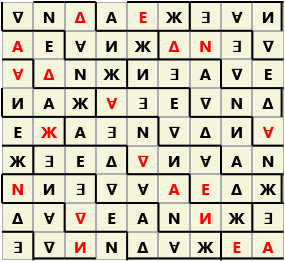 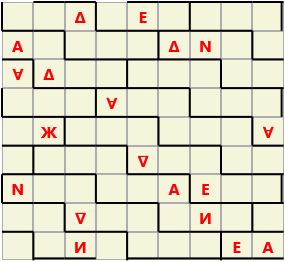 As regular 9 by 9 but must also have unique characters in each diagonal, highlighted. 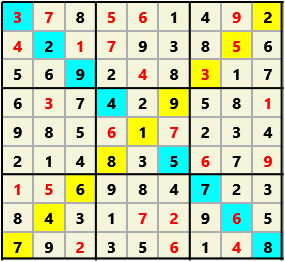 The normal 3X3 boxes are replaced by vertical stripes (helices) which wrap around the problem. 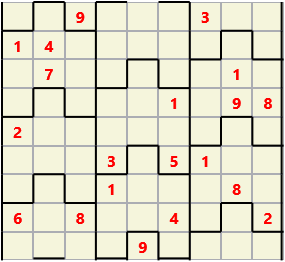 These stripes join the left side to the right side and the top to the bottom so that the overall geometry is a doughnut (torus). 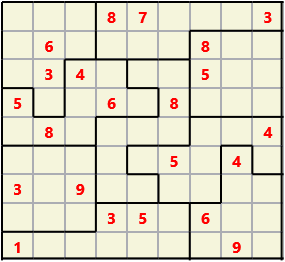 The shapes have “lumps” on each side to become quite irregular. 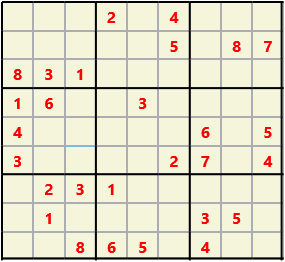 They look to me like little people. 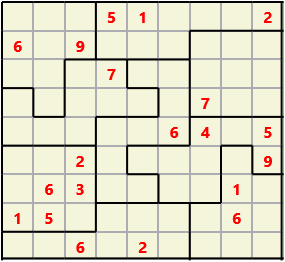 This problem wraps top to bottom and side to side so the overall geometry is like a doughnut (torus).